Personalised Engraved Wooden Wine Box. 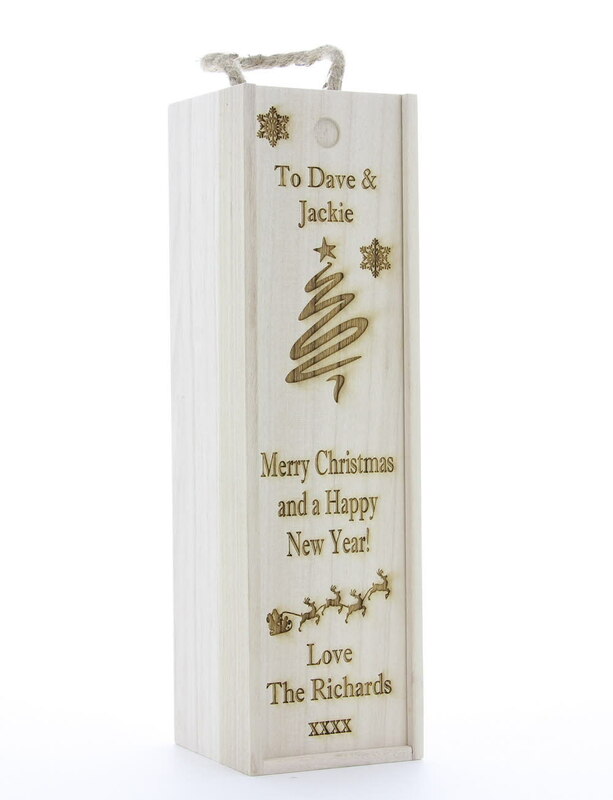 All you need to do is let us know the personalised text you would like engraving. As standard the box includes all the images shown and the set text of 'Merry Christmas and a Happy New Year! '.